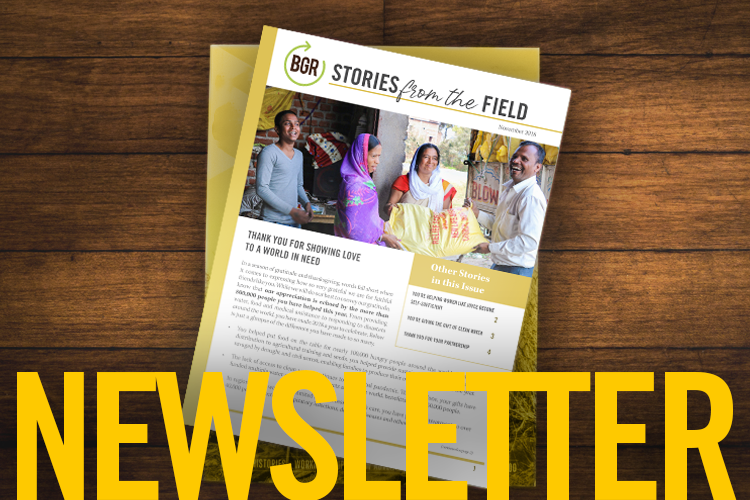 Your gifts not only help hurting men, women, and children around the world—but they also bless the trusted partners who are desperate to care for them. Alicia runs a youth home with her husband that cares for destitute children who need a place to live while attending school. Many are refugees, orphans, or partial orphans. Some have seen people killed while fleeing war and violence. Some wouldn’t smile or laugh for six months after moving into the home. And Alicia and her husband must rely on God each day to feed these precious boys and girls. Read her beautiful story of the Father’s provision. When we [started the youth home] last year, we knew we had limited food supplies and next to nothing for veggies or meat. Most of our kids arrived for school in nearly skeletal physical shape. They needed some meat, but any meat is costly here. And, raising your own (chickens, pigs, etc.) is not possible because of insufficient feed or grazing area. We scrounged here and there for food and veggies, using hot peppers to stretch very limited quantities of supplies each meal. These kids did not complain because they came from near-famine conditions and knew these were tough times. What really pierced our hearts was the absence of hope in their eyes. If these were our kids in the care of someone else, how would we feel? We just couldn’t send them away to become someone else’s problem. Most of these children have similar stories about what happened to their families. And, they all involve either one or both parents dying, warlike conditions requiring them to flee their homes for the crudest of “shelters” or safe zones, living day-to-day on food that could be described as slop at best, or distant areas where no schools exist and their parents had zero means to send them anywhere else. When my husband came across needy children in different areas and tribal groups, he felt the Lord touching his heart to help—even though he knew we ourselves did not have enough to live on month-to-month. When he brought these kids home with him or they were sent by village elders at the start of school, I was appalled to undertake such an impossible task. I knew we had no means to ensure the kids could even eat, let alone study at school with the needed clothes, books, and supplies. But, my husband told me he felt God would provide step-by-step. It still fell to me to see that the cooking helpers had food and to help determine what we’d feed the kids- and even ourselves—day-to-day. 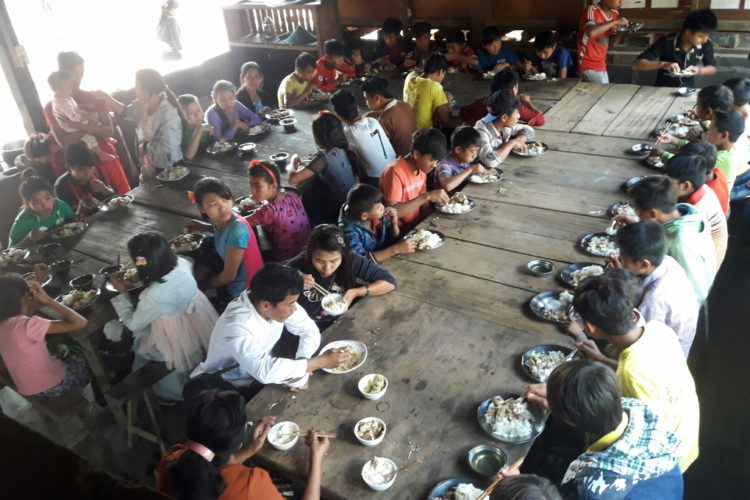 We were within three days of completely running out of food supplies when we got word that funds were coming [from BGR] to help buy not only rice but also meat, veggies and even some desperately needed personal supplies. These kids will soon grow up and become adults. We believe our investment in their lives will one day pay big dividends for the Church and for the futures of these children. You (meaning BGR) have helped restore hope in the lives of these kids. Thank you, thank you, and God bless you.